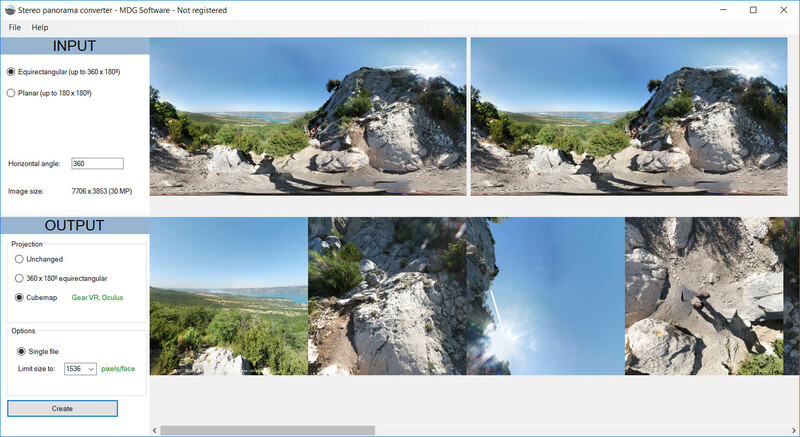 Stereo Panorama Converter allows you to split and join 360x180 degrees stereographic panorama images with an easy to use interface. You simple drag and drop your panorama into the program, and in most cases it will recognise the format. You can then convert your panorama to a cubemap that is suitable for display in, for example, a Gear VR device, or Oculus Rift. Stereo Panorama Converter is designed to work fast, easy and without complicated configuration scripts. Stereo Panorama Converter is available for 64 bit windows only.